The Van Hool CX45 is a popular model of motor coach in North America and Europe. Van Hool has sold this vehicle in the United States for over 15 years. Although the company tried to keep the coaches classic design, newer models feature a revamped body style and improved safety features. Operators across North America choose the CX45 for use in private charters and scheduled line runs due to the vehicles durability and low operating cost. Most models come standard with all the above features. If you are interested in learning more about specific features in the CX45 model please contact Shofur. A reservation specialist is available 24/7 at 1-800-436-8719 to provide a free quote. European designers place an emphasis on curb appeal. These vehicles look amazing and blend into any setting. But don't let the exterior fool you. This interior is designed to perform well and look great. Visit our operator pages for images of individual vehicles available for charter service. 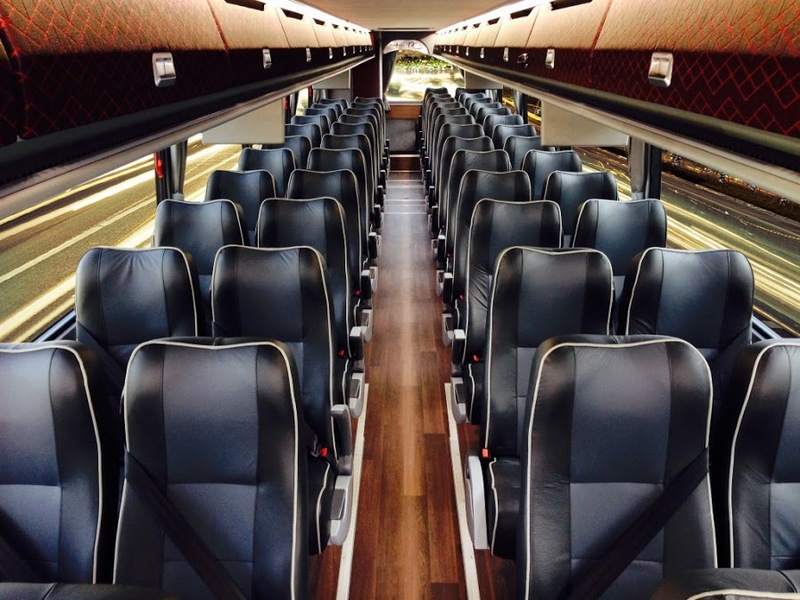 This charter bus manufacturer emphasizes safety and reliability on all their vehicles. A number of features in the drivers' cockpit have been added over the years to improve visibility and ease of use. 3-point safety belts are standard on newer models to ensure passengers are kept secure along their journey. Additional features including improved bumper designs add to the vehicles safety performance. The Corporate Event: If your company is transporting a large group of employees to a conference in a different city, a team outing, or just across town we have the right options for you. The Van Hool charter bus features all the necessary amenities for the professional. Extra legroom and reclining seats are built for taller passengers. Wi-Fi on board and power outlets below the seats ensure everyone stays connected. Your employees won't miss an email traveling on these buses. The Church Event: If you are shuttling passengers for a church or charity event consider renting a Van Hool. These reliable passenger coaches are ideal for large events requiring mass transportation. Each 55 passenger bus comes with A/C for those hot summer days. If your congregation is carrying luggage, strollers, or walkers there is ample room for safe and accessible storage. 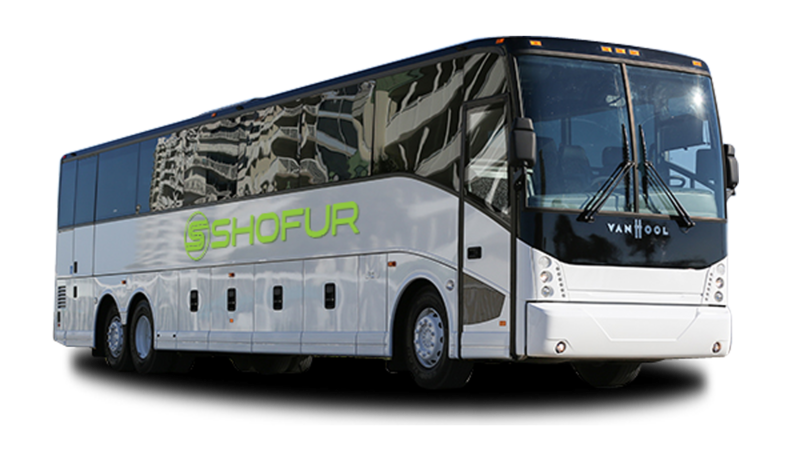 Van Hool designs and manufactures motor coaches for the European and North American markets. The company was founded in 1947 and headquartered in Belgium. They currently manufacture over 1,700 motor vehicles per year and employ approximately 4,500 people. The United States represents one of the company's largest markets with over 600 bus sales per year. Other models manufactured by Van Hool include the TX Touring Coach and JDX Double Deck Intercity Coach. For more information on specific models and features visit www.vanhool.be.